St. Lucians are known for their warmth, their hospitality and their ability to celebrate everything life has to offer. That’s why when you plan your next trip to St. Lucia be sure to take a look at the festivals happening throughout the year to make sure you don’t miss out on anything! Though you can find multiple festivals on the island we are bringing you the hottest and best festivals in St Lucia so you do not miss out. 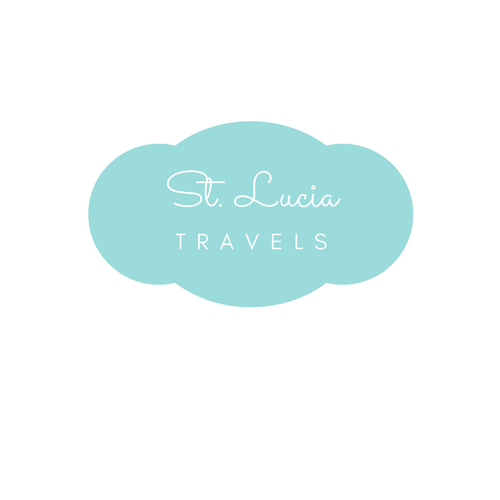 If you plan on traveling to St. Lucia in the summer there are two festivals that you must take time to attend and experience. The first one being Carnival and the second being The Rose Festival. Carnival is probably one of the best-known street celebrations around the world, and if you’ve never even heard of it you’re in for a treat. One of the best Carnival in St. Lucia’s Carnival usually takes place around mid-July so as not to interfere with Carnival on other Caribbean islands. If you decide to celebrate Carnival in St. Lucia you can expect a two day, all-out street party. There will never be any shortage of bright, beautiful costumes, colorful decorations, calypso and soca music being played all over the island, and filled with giant parades through the streets! It’s not abnormal to see everyone dressed up in spectacular costumes, dancing on the streets while live steel pan bands play music day and night. This massive festival culminates on Carnival Tuesday which promises an all-out bash filled with music, dancing, local cuisine, and a night you’ll never forget. It’s definitely one of the best festivals in St Lucia. The La Rose festival happens at the end of August every year. This event celebrates a story about a girl named Rose, who was known for taking care of her family. Rose and her family were slaves on the plantation, and Rose worked in the great house. Her family worked on the field and elsewhere on the property. They were mistreated and not fed properly. Because Rose wanted to take care of her family, she would take loaves of bread every night to bring to her family. The guards found her suspicious, so one night she was stopped and asked to open up her apron. She had no choice but to do so, but instead of loaves falling out, there were rose petals. She was saved and because of this was rewarded for her acts of resistance. Today the St. Lucian people celebrate Rose and the flower as a symbol of her bravery. Different communities begin the La Rose activities at the appropriate time of the year. They start by choosing a family, where they will be crowned King and Queen and the children will b the prince and princess of the La Rose. This title is held throughout the season. Different social events are held by the communities, where they perform songs and dances. The royal family reigns dress up in their best costumes at the head of the parade, and others assume different roles as they follow behind. There are magistrates, policemen, nurses and other social functionaries that play part in the masquerade. It’s starting to get cold and you need a little warmth and fun. Come to St. Lucia where you can get a little bit of both. There are two main festivals in this season, which are The Feast of La Marguerite and International Creole day or Jounen Kweyol ( Creole). The Feast of La Marguerite is celebrated on the 17th of October in St. Lucia. It is the rival festival of the La Rose. Just like the La Rose festival, the preparation for the celebration begins months in advance. The island comes together to celebrate the national flower, The Marguerite Flower. The only difference between the two festivals is the color. The primary color of La Marguerite5r is blue. They also celebrate with the king and queen, who presides over the whole festival. The locals also dress up in costumes as policemen, magistrates, nurses and many more people who come out to celebrate the parade. Jounen creole is celebrated on the last Sunday in October every year. It is an event that celebrates the French /Creole dialect spoken on the island. The people of the island come as one to celebrate their African creole heritage. They dress up in the island’s national wear which is called the Wob Dwiete. People who don’t want to wear the Wob Dwiete make their own clothing items out of the same material which is called the Madras. The celebration continues wit National foods like green figs and salt fish, Boullion served in a calabash bowl and many more. If you want to know more about St. Lucia’s history, this is an event you don’t want to miss out on. The festival of lights marks the beginning of the Christmas season. This event is celebrated on December 13th and is associated with St. Lucy, the patron saint of lights which is the symbol for the triumph of light over darkness, good over evil and the renewal of life. The tradition behind this event is that there was a lantern hung on the doorway of every home to light the way. This has changed over the recent years into a competition where the youth make all types of lanterns with natural, recycled material creating themes for local artist and social events. The St. Lucia food and rum festival is celebrated from January 12th to January 14th. This three-day festival includes chefs from all over the island showing off their unique and flavorful foods, with a hint of St. Lucian history. Are you a rum lover, then you should definitely be at this event. There will be expertly crafted rum at participating restaurants throughout the island. On January 13th head on over to Rodney Bay where participating restaurants will offer rum infused dishes. The festivities come to an end on January 14th with an offering of the finest rum on the island on the Pigeon Island National Landmark where a concert will be held. St. Lucia independence is celebrated on February 22nd every year. The island was given its independence in 1979, so it would be celebrating 39 years of independence this year 2018. The celebration consists of a military parade which is followed by a national rally which shows off a line up of St. Lucia’s National talents. The island holds a month-long celebration, with beach parties, concerts, cultural exhibitions, culinary extravaganzas and many more activities to celebrate their years of freedom. The jazz festival is celebrated in May of every year. This event brings musicians from all sort of the world. It features all different types of music, like jazz, R&B, soul and much more. Venues for this event include the Pigeon Island National Park and The Dereck Walcott Square. So if you are looking for tickets for this great event you can get your tickets here. PIN THIS BLOG TO YOUR TRAVEL BOAD NOW.